Treat yourself to a lavish vacation and discover the savors and charm of France and French-speaking Switzerland on our Eastern France Tour. 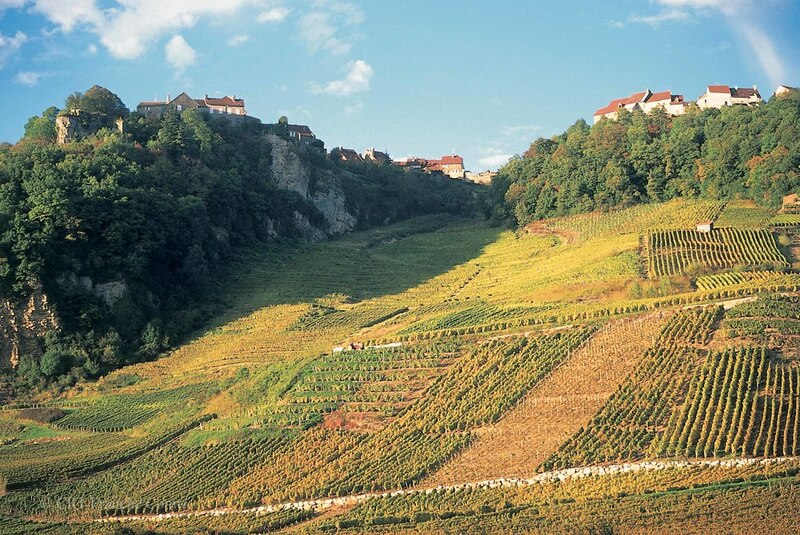 Wine-tasting and gastronomy will be prominent daily features of this multi-faceted tour of the Swiss border regions. You will explore affluent cities, cobblestoned villages, wine country and the lush mountain countryside while experiencing pleasant French indulgences and the authentic local culture. 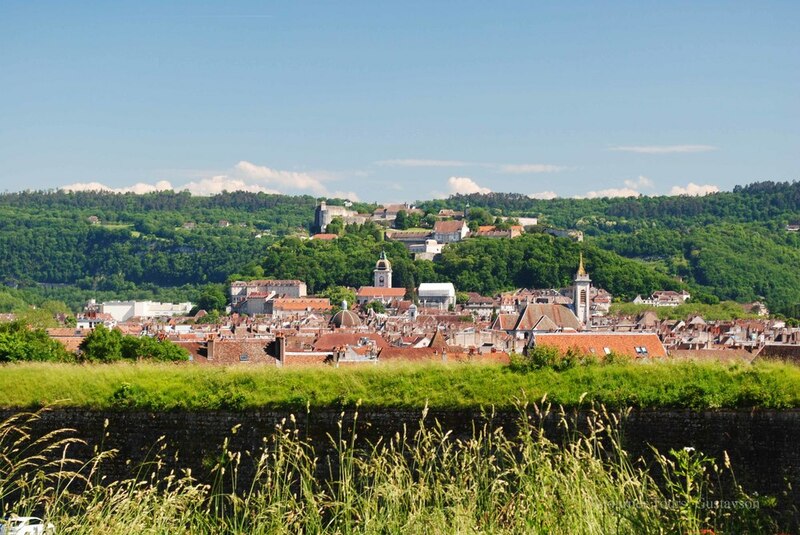 From our tour base in Besançon, the capital of the Eastern France region of Franche-Comté, you will take four day trips to enjoy the beauty, history, culture, wines and culinary traditions of an enchanting off-the-beaten path area that few people outside of Europe know: one of France's best kept secrets. Besançon is conveniently located between two very refined and luxurious places: Montreux, a Swiss vacation spot famous for its affluence and incredible Mediterranean micro-climate where you will tour Switzerland’s most famous castle; and, Bourgogne (or, "Burgundy") one of France’s two most prestigious wine regions where you will taste some the most sought after wine in the world. AFTERNOON: Upon arrival, you can settle into your comfortable room in a charming boutique hotel, Le Sauvage, in Besançon*. While other guests are still arriving, you can relax at the hotel or start exploring the city as you please. RECEPTION & DINNER: Your first induction into the French lifestyle will start with a champagne reception at 6:00 pm, the traditional time for apéritif in France. You will meet your guide and join the rest of the group to celebrate the start of the Eastern France Tour, French-style. Following the reception, you will enjoy a laid-back dinner at the Hotel. *Similar hotels may be substituted if room availability is low: reserve early to help ensure a place. ARCHITECTURE: Guided tour of an 18th-Century UNESCO World Heritage Site. WINE-TASTING: Jura wines in the region’s wine capital, Arbois. GASTRONOMY: Lunch in a two-Michelin star restaurant. LOCAL SECRETS: Visit the boutique of one of France’s best pastry and chocolate chefs. 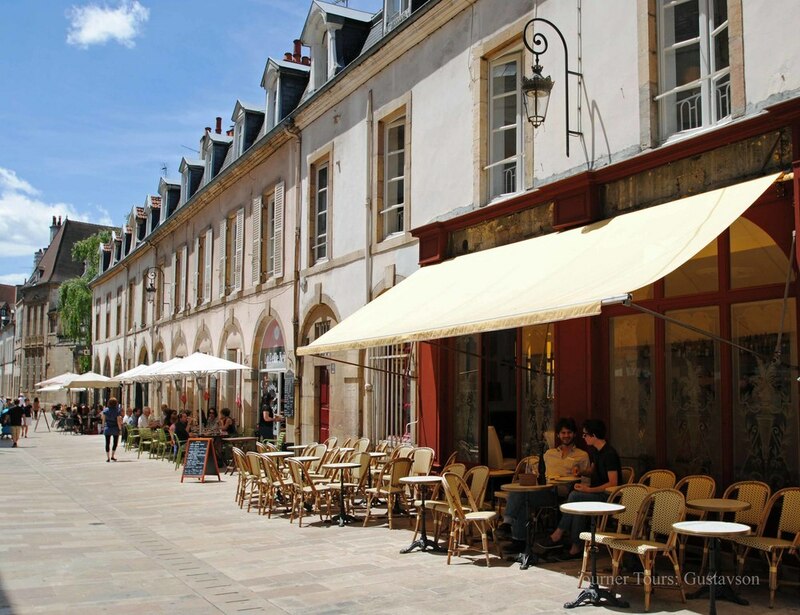 Wander around the town where Louis Pasteur did his famous research on wine. Meander through the hometown of painter Gustave Courbet and have dinner in a charming riverside restaurant. MORNING: You will first take a guided tour of the Royal Saltworks in Arc-et-Senans where you’ll discover a utopian village designed by the ground-breaking architect Claude Nicolas Ledoux. You will then visit a traditional wine cellar housed in a manor in nearby Arbois to taste the unusual wines made from the area’s uncommon grape varieties. LUNCH: You will enjoy a refined meal featuring local products in a two-Michelin star restaurant. Chef Jean-Paul Jeunet, a native of Arbois, is famous for pairing the local wines that you will have just tasted with exceptional epicurean food. AFTERNOON: The afternoon begins with some free time to explore Arbois with its ochre buildings and rolling vineyard covered hills. Things to do include: visiting the Local Wine Museum or Louis Pasteur’s historic house and museum; and, a stroll along the gurgling river that winds through the town. 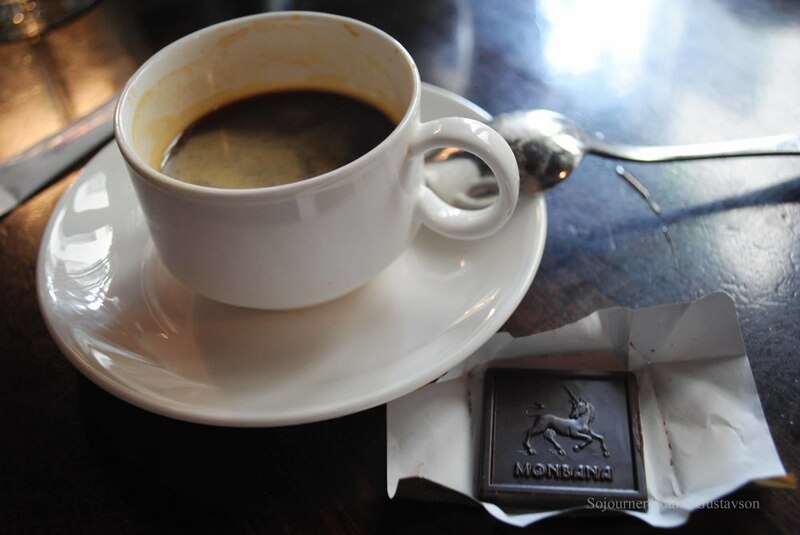 We will meet back together at a fourth generation chocolate and pastry chef’s shop, where you can taste some of the finest chocolate in France. Next, we will take a scenic drive through the countryside to the town of Ornans, nicknamed “Little Venice” by locals for its enchanting riverside architecture. It is the hometown of one of the most important painters of the 19th-Century Realist movement. You will have time to explore the quaint town before dinner. DINNER: You will dine in a gastronomic restaurant that is a local favorite. You will not only enjoy its fine food, but also its picturesque location in a historic building with a terrace overhanging the river. ARCHITECTURE & NATURE: Visit stunning medieval castle Chateau Chillon and stroll on the scenic shores of Lake Geneva at the foot of the Alps. 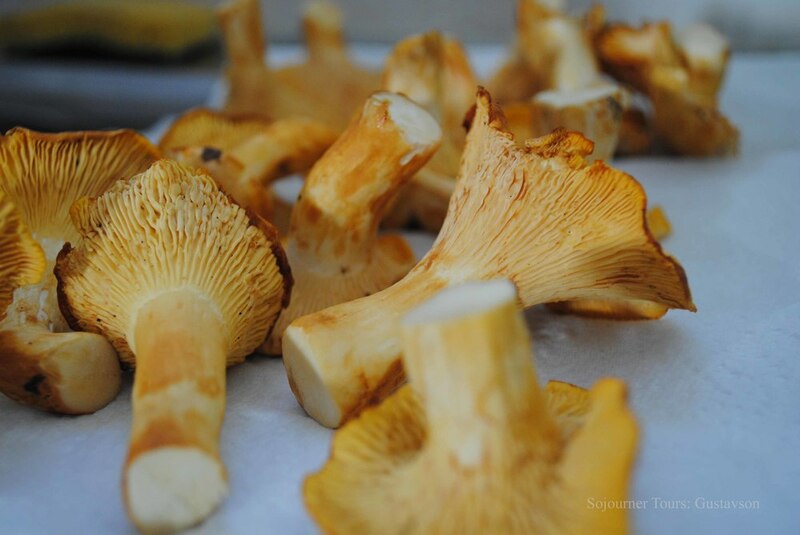 GASTRONOMY: Dine in a Michelin-star restaurant housed in an old chalet-style farm noted for serving dishes based on local seasonal products. LOCAL SECRETS: Stroll along one of the residents' favorite mountains and enjoy a regional specialty in a mountaintop farmhouse. MORNING: Traveling through lush green mountainous landscapes and pine forests of Eastern France, we will reach one of the locals' favorite spots where you will take a short hike along a limestone cliff on the Mont d’Or Mountain. There, you will enjoy stunning views over France and Switzerland. LUNCH: You will have lunch in a nearby rustic mountaintop farmhouse beloved by locals, hikers, and skiers (in the winter) for their locally sourced meats grilled over an open flame. This restaurant was chosen for its character, secluded location and local popularity. AFTERNOON: After lunch, we will drive to the balmy “Swiss Riviera” city of Montreux at the foot of the Alps. 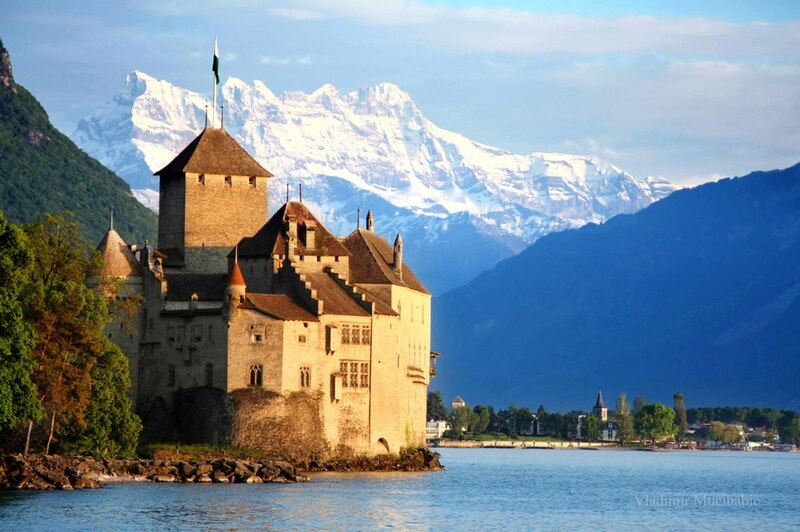 Upon arrival, you will enjoy a leisurely stroll along the scenic shore of Lake Geneva to Switzerland’s most notable castle: Chateau Chillon, where you will take a narrated tour. This visit will be followed by an hour of free time in the historic district of Montreux. Those who opt not to visit the castle will have about three hours to explore the city and its lush palm tree studded Mediterranean vegetation. DINNER: Our way back to the hotel will take us past a popular local vacation spot: a village on lake Saint-Point, where chef Marc Faivre creates contemporary recipes using seasonal local ingredients. His gastronomical country-style restaurant, which was once his family’s farmhouse, makes the sophistication and refinement of his food even more astonishing. This restaurant boasts one Michelin star. POINTS OF INTEREST: Vauban’s Citadel (UNESCO World Heritage Site); France’s oldest Public Art Museum; the Astronomical Clock; Roman remains, including a complete Triumphal Arch; the Museum of Time; the birthplace of Victor Hugo. WALKS: Three marked walking routes guide visitors through the city to discover: 1) the river banks and fortress, 2) the upper city and religious district, and 3) the Battant neighborhood and casino. SHOPPING: Your guide can direct you to the small fashion district, the best wine stores in town, the boutique specialized in regional products, a covered market housing artisanal food venders, etc. MORNING, LUNCH, AFTERNOON & DINNER: After breakfast your guide will offer an overview of the city followed by a culture class (both are optional). This is your free day to explore the city’s culture, art, history, shopping, and green spaces at your own pace. You’ll select your own restaurants for lunch and dinner (your guide will make recommendations during the overview). NATURE: Take a 2-hour hike past 31 torrents and waterfalls. WINE-TASTING: Discover one of the France’s most unique wines, the region’s distinctive “yellow wine” in the winemaking village of Château-Châlon where it originated. LOCAL SECRETS: See how France’s favorite and best selling artisanal cheese is aged. For dinner, you’ll enjoy the same cheese in a traditional cheese fondue in a restaurant that has become a local institution. 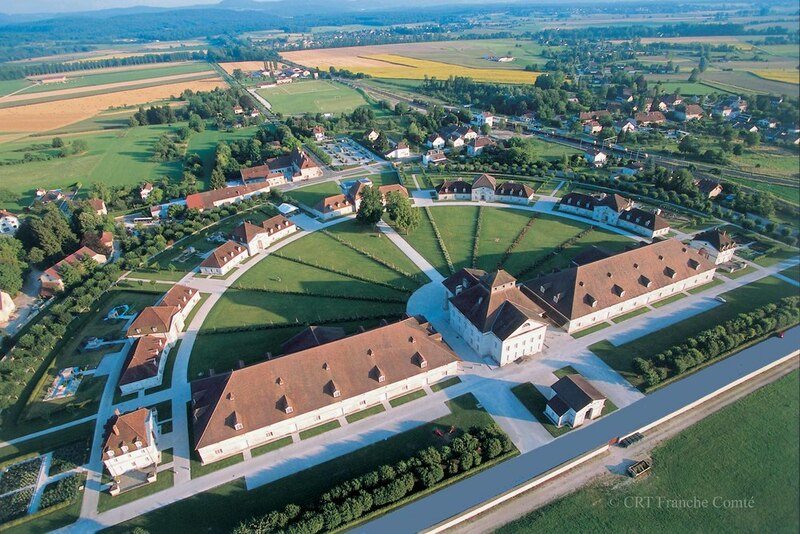 ARCHITECTURE: Visit two villages awarded the title “Most Beautiful Village of France”. In one, you will eat in a medieval monastery. MORNING: This day trip will start in the small town of Poligny, the “capital of Comté cheese”, where you will visit a maturing cellar for a tasting and to learn first-hand how the region’s most popular cheese is aged. Next, you will visit the nearby wine producing village of Chateau-Chalon which is part of France’s smallest wine region: the Jura. Perched on a massive limestone escarpment with a panoramic view of the vineyards, this village and its medieval houses proudly bear the title of “Most Beautiful Village of France”. There you will taste the highly esteemed Vin Jaune or “yellow wine”. LUNCH: You will eat typical seasonal foods served in a spectacular vaulted restaurant housed in a former Benedictine abbey. AFTERNOON: Following lunch, you will visit the abbey and have free time to stroll around the cobblestone village of Baume-les-Messieurs, another village awarded the coveted title of “Most Beautiful Village of France”. You will then take a two-hour downhill hike to marvel at the awe-inspiring succession of small and large Hérisson Waterfalls. DINNER: On your way home, you will stop at a chalet-style restaurant in Arbois to eat a traditional fondue made with the Comté cheese you learned about that morning. WINE-TASTING: Côte de Nuits section of the Grands Crus Wine Road in Bourgogne (some of the most highly esteemed and expensive wines in the world). FINE ART & ARCHITECTURE: Explore the prosperous city of Dijon and possibly visit its Museum of Fine Arts housed in the Palace of the Dukes and Estates of Burgundy. GASTRONOMY: Enjoy lunch and dinner in two restaurants with Michelin stars. LOCAL SECRETS: The dinner chef holds the prestigious title of “Best Craftsman in France” in the cooking category. His establishment is housed in an 18th-Century mansion in a tiny village. 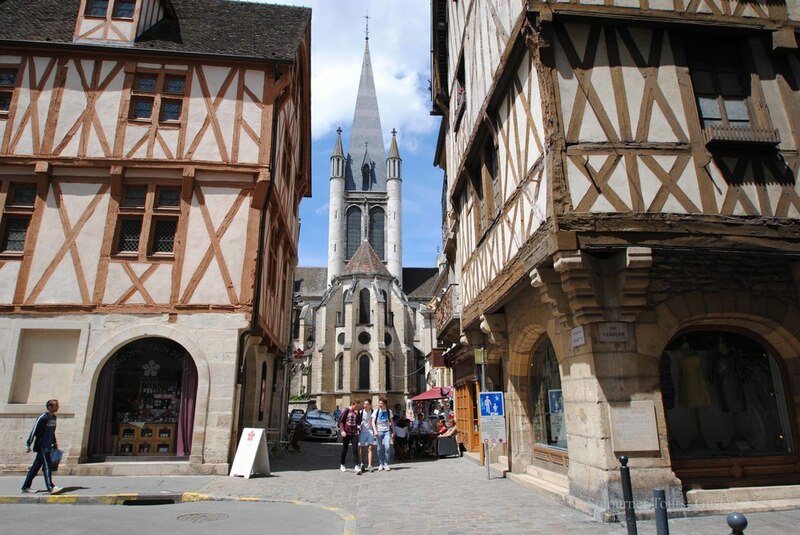 MORNING: Our first destination is Dijon, the affluent capital of Burgundy famous for its mustard and escargots. The lively outdoor market will be in full swing when we arrive. You will start with a thirty-minute guided stroll through the medieval city center to admire the half-timbered buildings as well as Romanesque and Gothic churches, before ending at the Palace of the Dukes. Two hours of free time will allow you to continue to independently explore the city center, its museums and shops. This will be the time to visit the city’s exceptional art museum or buy some Dijon mustard! LUNCH: You will enjoy a very special lunch in a Michelin star restaurant located in Dijon’s most notable city square, overlooking the Palace of the Dukes. Chef Jean-Pierre Billoux and his son Alexis offer a menu that fuses traditional Burgundian flavors with contemporary cuisine. AFTERNOON: After lunch, we will drive down the most prestigious section of the Grands Crus Wine Road, the Côte de Nuits. We will stop at two old-fashioned family owned wineries to sample the world famous Bourgogne wines (notably Pinot Noir varietals and Chardonnay). DINNER: On our way back to the hotel, we will stop at an 18th-Century manor house to have an exceptional treat for dinner. Our restaurant has one Michelin star and the cook/owner, Romuald Fassenet, holds a M.O.F. title for being one of the best chefs in France.